Born in Saskatchewan to an Algonquin mother and an Irish immigrant father, Yvette Nolan graduated from the University of Manitoba in 1997. She is an accomplished playwright: her plays include BLADE, Job’s Wife, Annie Mae’s Movement, The Birds (a modern adaptation of Aristophanes’ comedy), and The Unplugging. 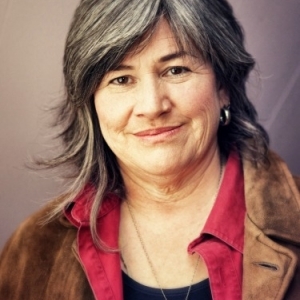 As a director, she has staged many productions for Gwaandak Theatre, Gordon Tootoosis Nīkānīwin Theatre, Signal Theatre (where she is currently an Artistic Associate), Globe Theatre and Western Canada Theatre, and served as the artistic director of Native Earth Performing Arts from 2003 to 2011. She is the author of Medicine Shows: Indigenous Performance Culture (Playwrights Canada Press, 2015). Yvette Nolan lives in Toronto.